With Home Relief, you get for your property the painting and decorating looks it deserves with the colours and flavour of your choice. Whether it is about a property you reside yourself as a landlord/lady or a tenanted one or even an empty one, Home Relief can add value to it during this Spring season. If you have a property that needs a touch of painting and or decoration, please do not hesitate to contact Home Relief. ONLY 5 DAYS TO GO TO ENJOY 10% DISCOUNT!!! To end this Winter Season, we are offering a 10% discount on our letting and rental services on top of our currently running offers. In addition, the remaining few days of this end-of-winter offer are dedicated to customised sessions for Landlords/ladies and Home seekers/tenants on how to manage their letting and rental goals in uncertain times. Further to the process in which the UK has engaged to exit the EU, many landlords/ladies and home seekers/tenants are asking questions about their letting matters for landlords/ladies or rental applications/tenancies for home seekers/tenants. These questions are mostly raised by non-UK citizen landlords/ladies and tenants/home seekers with ordinary income earning capacities. They are asking how the changing economic ties of the UK from the EU would respectively affect their letting and rental situations. In order to deal with their concern, we are holding customised sessions with them to provide information to their specific questions to help where we can to reduce worries and anxieties they may have in relation to the incoming change and uncertain property landscape. So, this week we are working with both landlords/ladies and tenants/home seekers of ordinary income earning capacity to try to reduce level of anxiety amongst them regarding their property needs. It is hoped that this week’s session will help them to manage uncertainty. This week’s session will be run by landlords/ladies and tenants/home seekers. It is them to raise the questions or issues they have in relation to the uncertain times. We will then try to find together possible answers to questions to be raised. Besides the KEY theme of the week on how to manage your property goals in uncertain times, there will be some add-ons. If you are looking for support regarding any of the above mentioned matters, Home Relief’s Customised Session for landlords/ladies and tenants/home seekers is an opportunity you can’t afford to miss. Contact Home Relief NOW and get 10% DISCOUNT Plus CUSTOMISED SESSION! Home Relief’s Customised Session ends on 23 March 2019 while the 10% discount offer expires on 31 March 2019. To instruct for letting or to rent out from Home Relief and enjoy this special offer, please work with Home Relief! Simply need advice on letting or renting before the end of March 2019, work with Home Relief. Let or Rent A Property by 23 March 2019 through Home Relief and Receive 10% Discount! Kick-start the Spring Season with a let or rental, and get yourself in the new season’s mood. If you are a landlord/lady or home seeker and looking forward to letting or renting by the end of this Winter 2019, Home Relief is ready to take your instructions to let (for landlords/ladies) or to consider your rental application (for home seekers) NOW. • Landlords/ladies, Instruct Home Relief by 23 March 2019 and Take Advantage of our Special End of Season Offer! • Home Seekers, Rent from Home Relief by 23 March 2019 and Enjoy the End-of-Season Benefits! THIS END OF WINTER LETTING AND RENTING CAMPAIGN ENDS ON THE 31ST OF MARCH 2019. In order to improve the way in which some home seekers are looking for homes to rent, what they can do to attract landlords/ladies and find a new home at any time, we are working with them on referencing and profiling issues. Often, when we talk to landlords/ladies about the people who are interested in their properties to rent, they ask us what kinds of people they are or who we have on our books. This means we need to describe or give to landlords/ladies an outline of the prospective tenants. Home seekers’ profile needs to be of the kind the people our landlords/ladies or we could accept to rent to before even starting taking up references. Why we are dealing with references. This is because we came across tenants who had rent deposit and rent in advance money, and who could pass the income referencing criterion of household income to be 2.5 times the annual rent; but their rental applications were rejected on the basis of money alone. They failed to meet other referencing criteria (such as character or behaviour). √ Who should be your referees regarding homes to rent? √ How to deal and what steps to take from failed report on referencing criteria? At the end of this week’s session, we hope to achieve the following outcomes with home seekers and prospective tenants. The ultimate goal of this session is for home seekers and prospective tenants to be accepted by prospective landlords/ladies and their letting agents on the basis of outstanding references and good quality profiles. To find out how this week’s activity may work for you, please contact Home Relief. 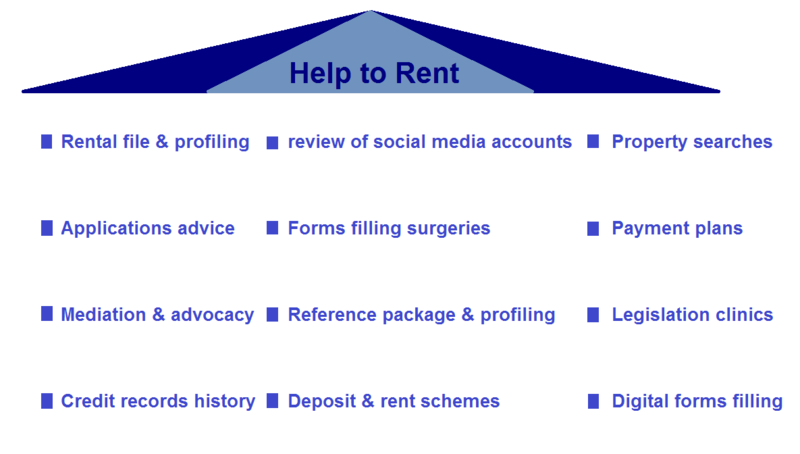 Simply need advice related to referencing and profiling matters related to homes to rent or to buy, work with Home Relief. How to answer this simple question when seeking homes to rent: What do you do? In the last episode of a series of property themes regarding our February 2019 campaign about affordable homes for low income people and families, we will be dealing with occupation. As you probably know, Home Relief provides all-round residential property services principled by social goals with the aim of reducing housing deprivation for low income people and families. Our property relief service does not only provide home seekers and buyers with advice to access a home to live, but also help them to help themselves in effectively running their lives. One of the ways of supporting these people and families to effectively run their lives is helping them to rent or buy a home while encouraging them to be economically active through occupation. When a physical person or a family seeking home has an occupation, it means they have a means of earning a living. This could be that they are an employee or self-employee or starting a business. They are performing a job in exchange for payment that could enable them to cover their property rental costs. They could also be doing voluntary job or internship or on training and education with the expectation this would lead to paid occupation. It means they are doing something that could enable them to meet the rental requirements or financial tenancy obligations. Occupation has to be placed here in the context of meeting contractual rent payments. For example, looking after your own children is an occupation. But, that occupation may need to be covered by a financial cover (e.g. housing benefit or saving) to pay for your rental obligations from rental point of view. Yet, people and families on low income may have problems to meet certain levels of rents. This is why we are looking into occupation this week. The purpose of this week’s session is to work with prospective clients to find a home to rent or to buy. The purpose of this week’s session is NOT to find a job or occupation. Home Relief is a freelance property agent, but NOT an employment agency. However, as part of our extended home service to low income earners we can provide some leads to our clients or home seekers in terms of opportunities in the areas where their current or future home is or will be. Occupational opportunities could include the following: paid jobs, volunteering, education and training, apprenticeship, internship etc. These opportunities could be online, offline, paid or unpaid. Yet, whatever they do as occupation, they have to make sure they are able to cover their rental commitments. There are a number of reasons for working with low income people and families around occupation matter. One of these reasons is that occupied and economically active renters and home seekers have more chance to secure and keep their accommodation compared to others. Low income people and families do not earn enough to meet many of the high asking rents in the property market. They need to demonstrate that they can rent affordable homes. They can only do this if they can improve their income circumstance and meet their rental obligations related to rent payments or mortgage payments for home buyers. To illustrate this better, let’s give you two cases. “The tenant I have stays every day in his room. Yet, when he rented the room, the contract was made on the basis that he would be often out to work and only coming in the evening to sleep and stay over the weekend”. This landlady threatened to increase her tenant’s contribution towards the utility bills as she complained about the lack of outdoor occupation from the tenant. “I don’t mind letting my property to people or families claiming benefits as long as they can pay deposit and rent in advance, they have suitable references and have some occupation like studying or on training or looking for work or working part time”. The above cases are self-explanatory about the relevancy of occupation when it comes to seeking to rent or buy a home. This week’s session is about working with home seekers to improve their applications to be eligible for rent by making their occupation stand out. In the end, this week’s process is about working with home seekers so that they can be able to respond to their prospective landlords/ladies and Home Relief to this simple question: What do you do for living? Simply need advice related to occupation for your application to rent or buy a home, work with Home Relief. Pursuing on our home campaign for low income people and families to access affordable homes, we are this week working with them on the knowledge of local life. Among the ways of supporting these people and families to effectively run their lives is helping them to rent or buy a home in areas where they have basic knowledge and information and where local life can be supportive or suitable to them. Homes, Families and Local will be the topic for discussion with home seekers and buyers this week. Learning to know the local area where you want to move in can help when looking for affordable homes. You can find information about your future local area online via the internet, through local letting and estate agents, on your phone if your phone has a local area feature, you can read local papers, you can visit local libraries etc. For as long as you will be in the process of renting or buying a home in the future, you may need to know your locals. Amongst the locals is the local property market. Even after you have moving in, you may still need to know and integrate into the local life. Local information can provide you with local networks, contacts, prices, empty properties, habits, flexibility (on things such as the amount or size of deposit to pay), better deals etc. These things can help you save money especially if you are on low income and looking for affordable homes or living in affordable homes. The above benefits from this week’s session will be disentangled from the current say that the social media and big media have taken over the local newspapers and local life. The session will prove that local information and media are still relevant if not decisive when looking to rent and buy a property, especially for those who have income constraints. Need advice on local information for homes to rent or to buy, work with Home Relief. Home Relief campaign for low income families and their homes to rent or to buy continues this week with a focus on health issues. We will be dealing with both indoor health within a home to rent or to buy, and outdoor health outside in the area where your future home will be located and the health facilities or amenities. Among the ways of supporting these people and families to effectively run their lives is helping them to rent or buy a home which is healthy and in healthy area with health facilities or amenities. As part of working with low income earners/families to find homes that meet their health needs; Homes, Families and Health (HFH) will be the topic for discussion with home seekers and buyers this week. The reason for this HFH campaign is that people and families with low income earning capacity are often forced to take or choose budget properties in a budget area. This could raise some concerns about the health conditions inside these properties as well as the health facilities or amenities in this budget (sometimes deprived) area. This is despite the fact that most sensible landlords/ladies and professional letting/estate agents would cover the health element in the property service they would offer. The health issue in a home rental and buying market is very relevant than what one could imagine. We came across a couple owning a property and discovered after many years of living in that property they bought sometimes ago that it was built on a dangerous site and unsafe land; land subject to a collapse in the future. The property developers who sold them the land and built the property were no longer on the market. This is just one of the many health examples to consider. Regardless of income sizes, all human beings are entitled to live in decent conditions. The issue of health becomes even a matter of concern where the home seekers and or buyers have health conditions and require a particular property to meet those conditions but cannot afford it. It is further important in the case of children when they are part of the occupancy of the property to rent or to buy. This week’s activity with home seekers and buyers will help them to get some insights about the areas of health they need to be fully aware before renting or buying a home. As part of this week’s session, we will look at the areas of law related to health, safety and standards for properties to rent and to buy. 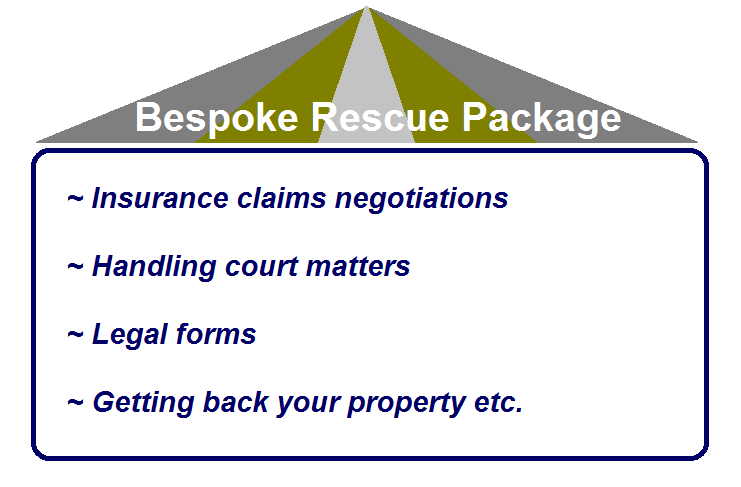 We will as well deal some aspects of health insurance related to properties to rent and to buy. Simply need health advice related to homes to rent or to buy, work with Home Relief.